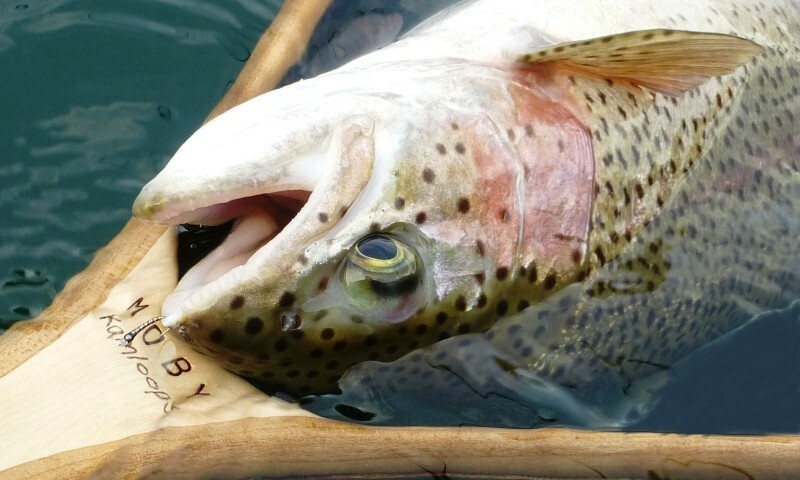 I’ve been doing this fly fishing thing for quite some time, and have used almost every type of landing net out there, but it wasn’t until the spring of 2011 that I got my first taste of a MOBY! I had hooked in to a double digit bow and was struggling to land it with my conventional round hoop net. Thankfully a buddy, noticing my frustration, rowed over to lend me his MOBY. I couldn’t believe the difference it made in landing, resting, and safely releasing that magnificent creature! 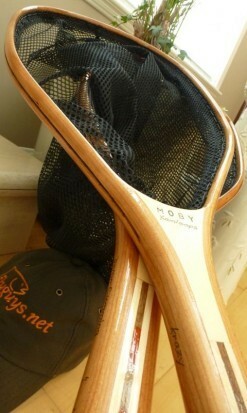 The next time I hit the water, and ever since, there’s been a MOBY fly fishing net by my side! 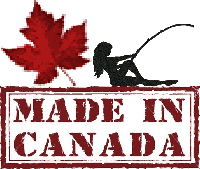 MOBY wooden fishing nets are hand made right here in beautiful British Columbia by Don Chatwin, the company owner and chief net builder. Don is a true craftsman with a keen eye for detail and quality that is certainly reflected in each and every one of his MOBY nets. All MOBY catch & release (C&R) landing nets are built from the same design, a single piece of solid Oak hardwood, using a process superior to glued strip construction and one which results in a strong, flexible and durable net that will provide years of reliable use! Attractive hardwood inlays enhance not only the beauty of the net but its durability as well and it’s soft non abrasive fish friendly mesh contains a flat bottom designed to allow fish to be held securely and comfortably. Two coats of marine grade penetrating varnish with UV blocker provide years of protection from the elements and complete these works of art! 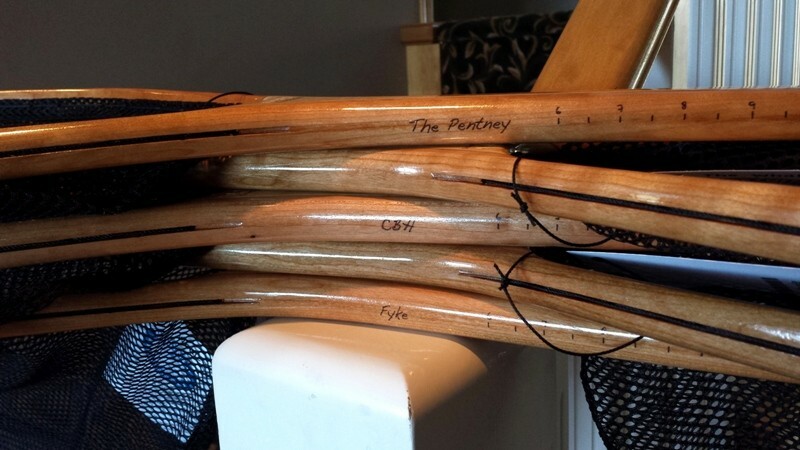 You will not find a better looking, stronger or more durable wooden landing net anywhere! Mobynets offer a great variety of quality built nets that meet the needs of the most discriminating fisherman. In our quest for the perfect fly fishing net, however, and although a few standard MOBYNets would have done the trick, we teamed up with Don to design and offer a custom “MOBY Kamloops series” of his already impressive fly fishing nets. 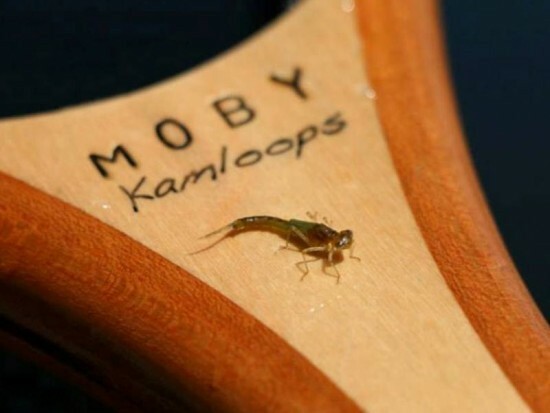 The result is the “MOBY Kamloops” and the “MOBY Kamloops Trophy”, a couple high quality, custom built fly fishing nets that we believe to be perfect for the trophy bows of the famous Kamloops area BC interior fly fishing waters! Since the Loon had already proven itself to be more than adequate for even the biggest BC bows, it’s 10 x 20 hoop size became the starting point for our MOBY Kamloops build. For those preferring a larger hoop, and reach, the MOBY Kamloops Trophy was designed with the Whales proven 14 x 23 hoop and 53″ overall length in mind. 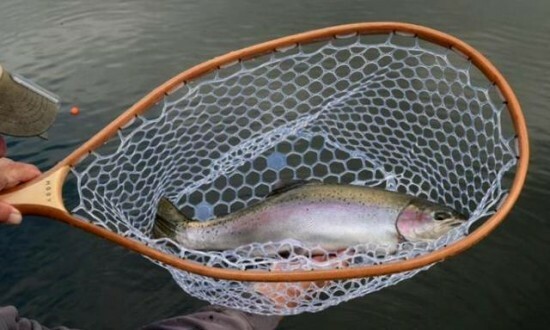 Both the MOBY Kamloops & MOBY Kamloops Trophy fly fishing net come standard with a soft black non abrasive fish friendly mesh containing a flat bottom designed to allow fish to be held securely and comfortably (see photo above). 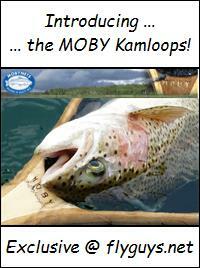 The MOBY Kamloops Trophy net is now additionally available with the option of a rubber mesh net. 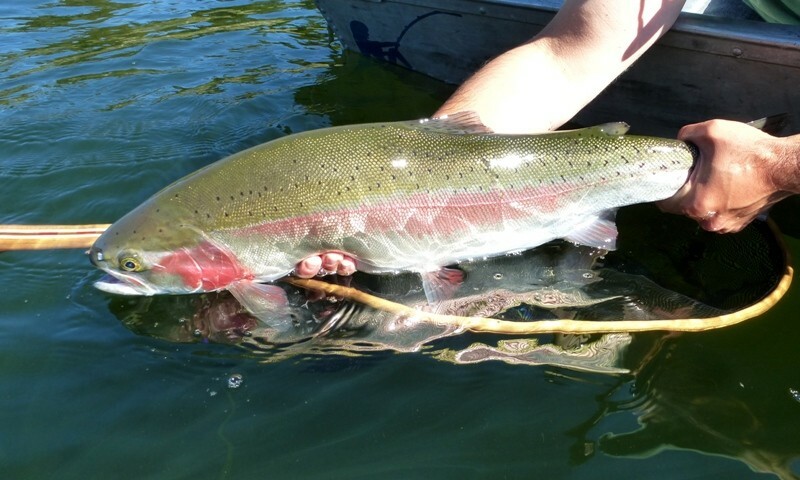 From our experience on the BC interior waters, the 48″ overall length MOBY Kamloops provides a good balance in reach vs. size, especially if you will be alternating its use between a small boat (up to about 12′) and a pontoon or float tube. However, if you consistently fish from a water craft, be it a small punt or larger, then we highly recommend the 53″ overall length of the MOBY Kamloops Trophy. Now don’t get us wrong, there is absolutely nothing wrong with Oak, but nothing says Canada like good old Maple! Don confirmed that this was definitely an option and suggested the addition of Cherry wood to set it off. 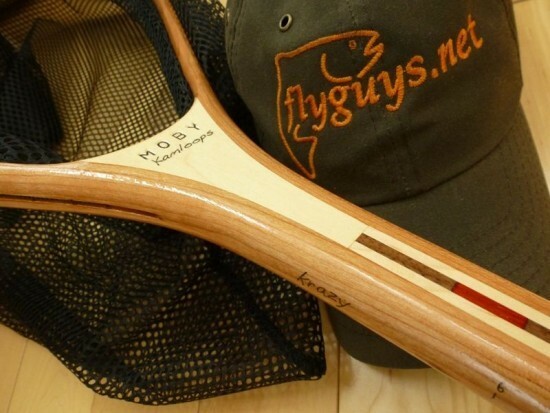 After looking at a few sample pictures we couldn’t have agreed more … the MOBY Kamloops series fly fishing nets are a combination of rich Cherry & Maple hardwoods! Ruler: A few years ago we met a fellow on a little remote interior lake that measured his fish against marks that he had carved into the handle of his net. What a great idea we thought! If we ever build a net we’ll be sure to get a ruler built right in … hey wait a minute! So not surprisingly the MOBY Kamloops series fly fishing nets come complete with an inch ruler along one side of its handle! 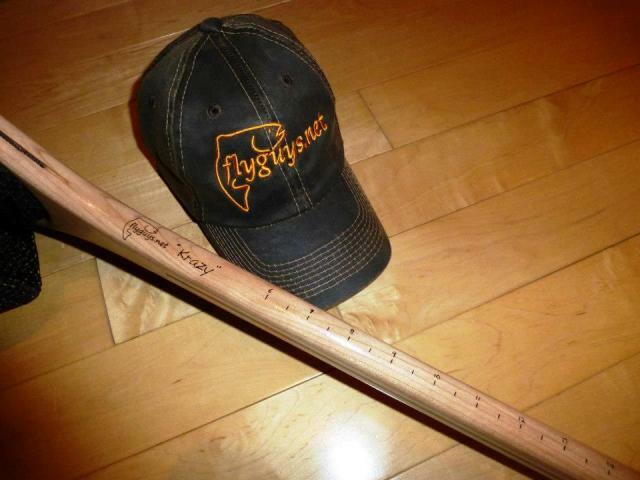 Personalization: And last but not least, to personalize it as your own, the MOBY Kamloops series fly fishing nets include free personalization along the handle above the inch ruler! 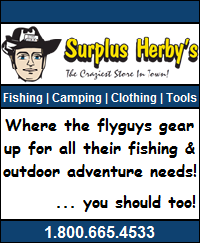 A very nice touch making the MOBY Kamloops series fly fishing nets a great keepsake, perhaps even a heirloom, and a great gift idea for that fly fisher that has it all! “If anyone has any issues whatsoever I will take care of it, my reputation is worth more to me than a couple of nets!” … Don Chatwin, Owner MOBY Nets. 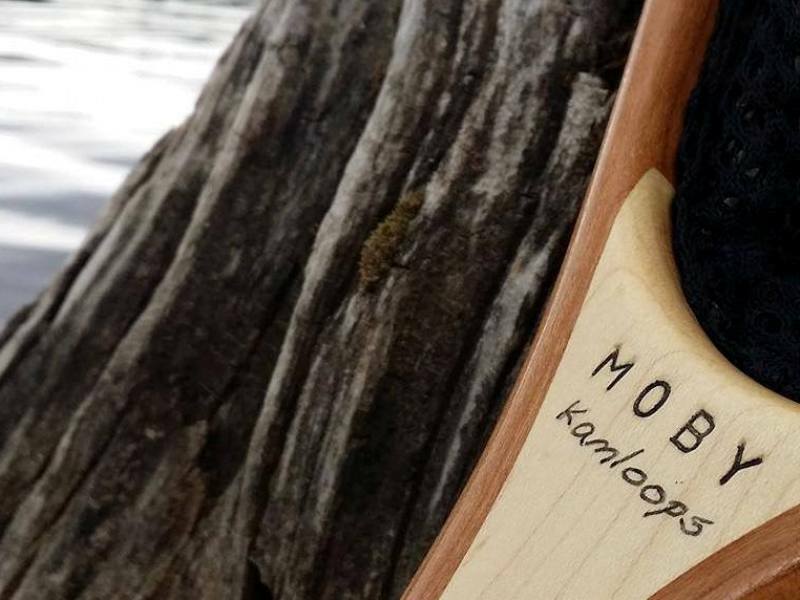 MOBY “Kamloops” series fly fishing nets are custom built by hand per order by Don at MOBY Nets and therefore require a few weeks to construct, personalize and finish … but the sooner you order, the sooner it will be ready ……. 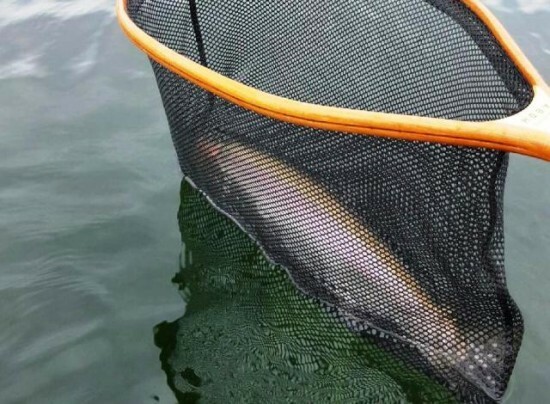 This entry was posted in Product Reviews and tagged C&R Net, Catch & Release Net, Custom Net, Fish Net, Fishing Net, Fly Fishing Net, Kamloops, Kamloops Loon, Kamloops Whale, Landing Net, MOBY, MOBY Kamloops, MOBY Kamloops Trophy, MOBY Net Review, Wood Net, Wooden Net. Bookmark the permalink. 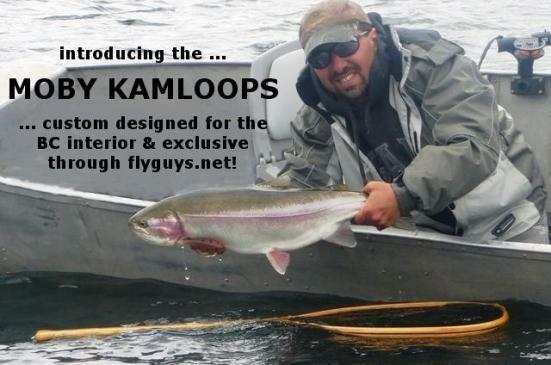 I am very happy with the purchase and would highly recommend any Kamloops Fisherman to put a Moby into his arsenal. Extremely well built, functional and gorgeous. Thank you Flyguys & Moby!